On the 3rd of March we conducted a poll asking the community if you'd prefer to continue with season 2, or start fresh with season 3. The winning vote was season 3, with 126 votes. Season 2 came in with just 26 votes. The reason we decided to do this poll was because of the amount of issues that were completely out of our hand (we couldn't fix) with our main Skyblock plugin. Season 3 has been built on the regular Skyblock plugin (the one that we used for season 1 as well), so we are 100,000% certain that it'll work this time. With the launch of season 3, we decided to work on two factors. Fixing all of the broken things from season 2 and solely focusing on a 1.12.2 Skyblock server! We want to give players the ability to use all of the newer blocks and functions of Minecraft. You are now able to use blocks like concrete, concrete powder, terracotta and of course, the beloved parrot! The weekly updates commence once again! This week we've added money boosters, ore gens are now back and fixed many bugs here and there. You can purchase a 2x or 3x money booster off of the store or in the Mob Coins cosmetics & perks shop (/mobcoins). Click here to head to the store and purchase a money booster! Money boosters will boost the amount of in come you get. You can purchase a 2x or 3x money booster off of the store or mob coins shop, under the cosmetics & perk section. To purchase a 2x money booster off of the mob coins shop, it'll cost you 1,000 mob coins, for a 3x money booster off of the mob coins shop, it'll cost you 2,000 mob coins. Simply type /mobcoins. When given a booster, it'll be added to your /booster menu. Simply click on any booster to activate it. Today we are forming our Quality Assurance (QA) team, with this comes an application for anyone who is interested to join the team. QA will serve as our testing, ideas and bug tracking team, with early access to new features, systems and servers! However, it won't be that easy to get in. Read on to find out the requirements to be in QA, what being in QA means and more general information! If you do not follow the requirements below, your QA application will be denied. Please carefully read through the requirements and make sure that you meet them. Minecraft King Competition has ended!!! We had a fantastic three days with you all doing our latest competition - the Minecraft King Competition!!! This was a four part competition in four areas; building, trivia, parkour, and PVP. Participants who placed in the top five of any category received points, five points to first place, and decreasing to 1 point for fifth place. The top ten players with the most total points overall will receive rewards at the beginning of season 2. In addition, our first place finisher will receive the exclusive MinecraftKing tag. Let's get on to the event results!!! Read on below to find out who won! Today we present to you: the Hub update! This update is completely separate to our Weekly Updates, so we hope you enjoy this pretty big bonus update. This update includes, a new Hub, new cosmetics, new selectors, new profile menu and many other minor additions and changes. We felt that our Hub was quite small and wanted something a little larger which will allow us to add treasure hunts, Hub games and all sorts of other things to discover in the new Hub. Continue reading to find out more about this update. Over the last couple of weeks, our new Hub spawn has been in the works. This spawn is much larger than the previous one, with more areas to explore, secrets to uncover and areas for future Hub games! Welcome to our first Weekly Update... of 2019! In this weeks update, we present to you... Duels! A very much requested feature as of release, so we are very happy to bring one of our most requested features to life, and we hope you are too! Before reading the rest of this post and fighting your friends in a duel, please keep in mind that duels are still in beta - therefore, you must expect bugs and issues to occur here and there! If you find a bug, report it here. Continue reading to find out more about duels! It's pretty simple! To duel your friend or foe, type /duel Player and wait for them to accept! You can view another players duel stats by typing /duel stats Player. When you send a duel request to a player, they'll have 30 seconds to accept the request. It's that time again! 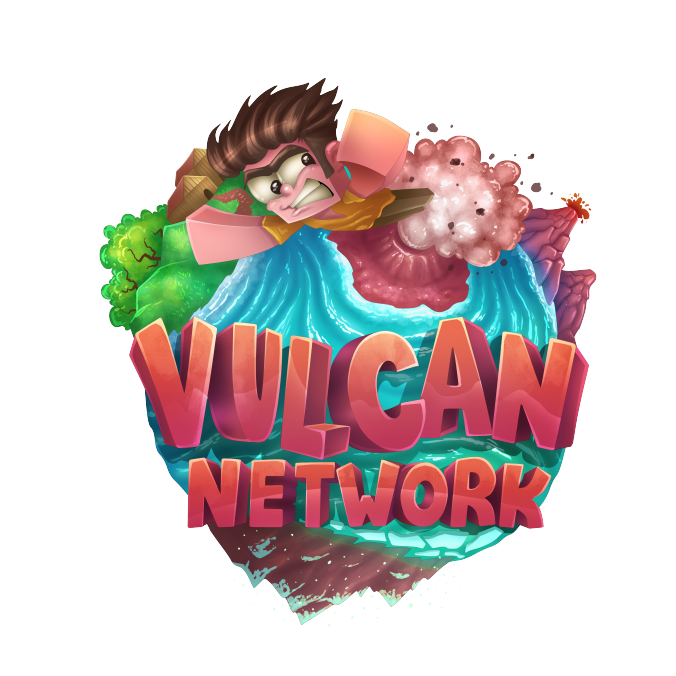 This weeks weekly update is now out and for this update we have focused on adding a bunch of useful features to make your life easier while playing on VulcanMC. We hope you enjoy this update, to find out exactly what we've added, read on below. Team Chat is now more visible. All members are now able to change your islands biome. Mob Coins have been added to Vote Rewards. You now get $2,000 instead of $1,000 per vote. You now get 10 diamonds instead of 5 diamonds per vote. Welcome back to our second weekly update! In this weeks update, we bring to you the trading system, the ability to withdraw your money and exp, a bunch of additions and bug fixes and more! Last week and this week follow a similar pattern of adding new features. However, next weeks update will be a large QoL (Quality of Life) update that will bring a bunch of small, but very useful features, fixes and more to the network! Welcome back to another update! We hope you are all enjoying the Christmas update. It's now time to enjoy this weeks Weekly Update! We have some major and minor additions, some bug fixes and more. Read on to find out exactly what's in store for this update! Read on to find out more about this update! 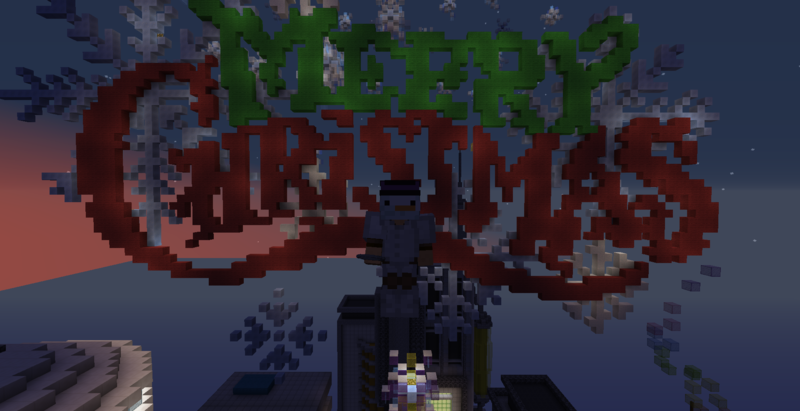 Christmas has arrived to VulcanMC! Vulcan's first major update has just hit! We've got heaps of cool new features, such as a snowball fight game in the Hub, Christmas music playing in the Hub, the Advent Calendar and the Christmas crate, kit, bundle & tags on the Skyblock server! You can purchase your very own Christmas crate key, kit and tag bundle on the store @ store.vulcanmc.net! | Hub Snowball Fight & Music! The Hub PvP Sword has been replaced with the Snowball fight game during this Christmas. To enter the game, simply hold the snowball in your hotbar. You'll then be able to throw your snowball at other players who are in the game! Try not to get hit, otherwise you'll be teleported back to spawn!